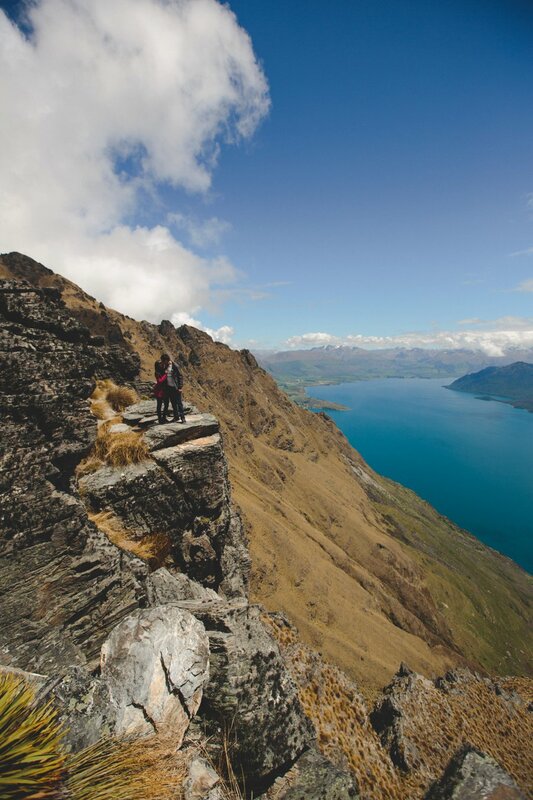 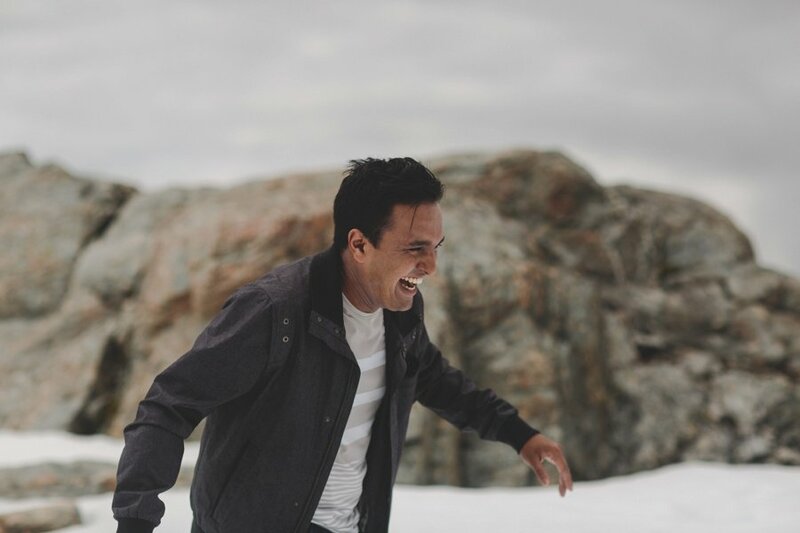 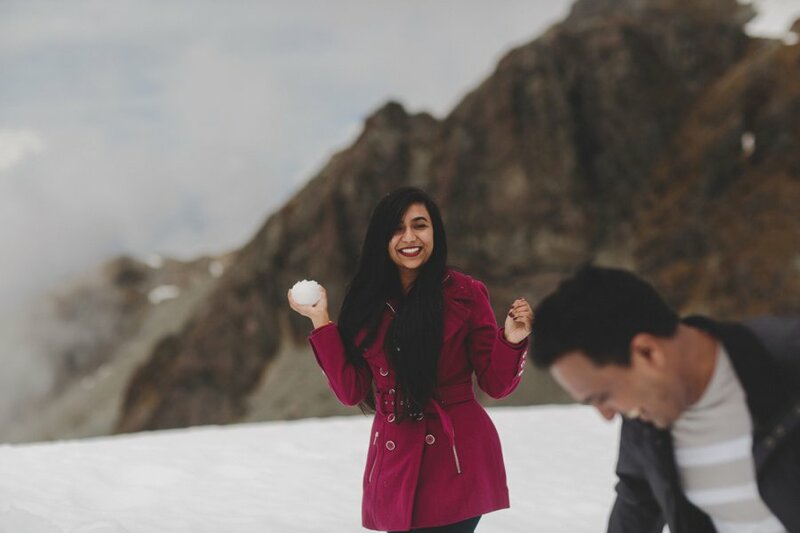 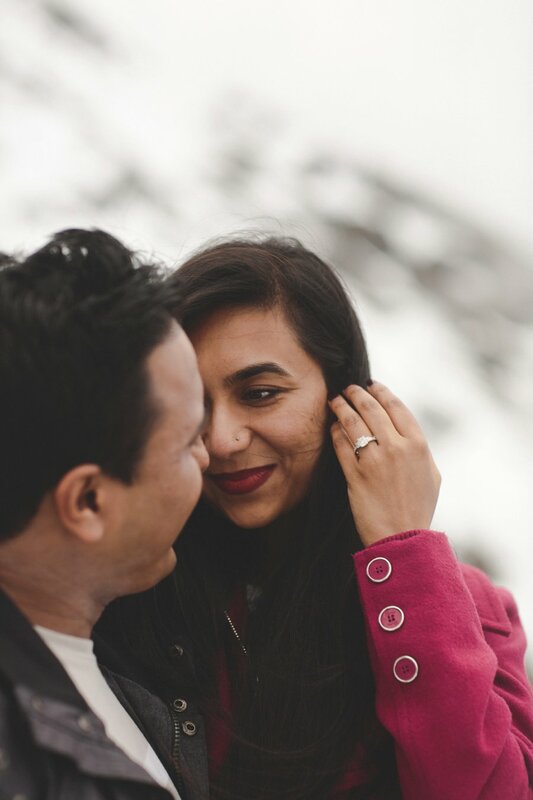 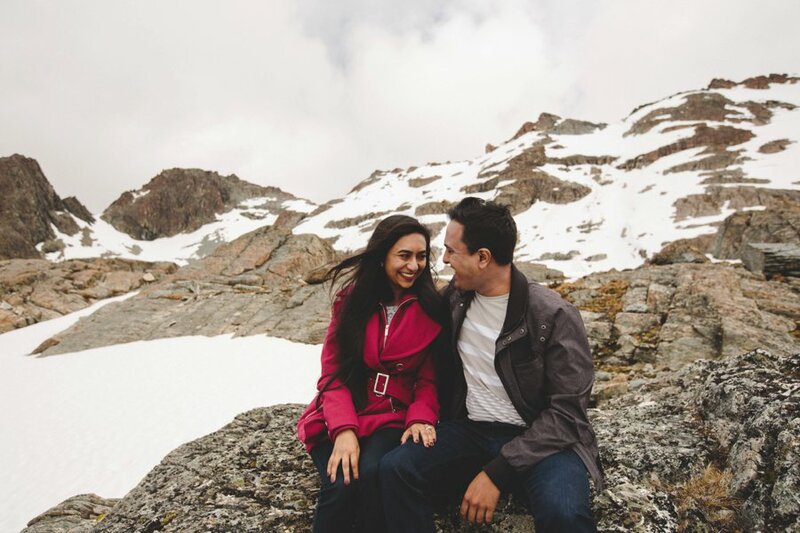 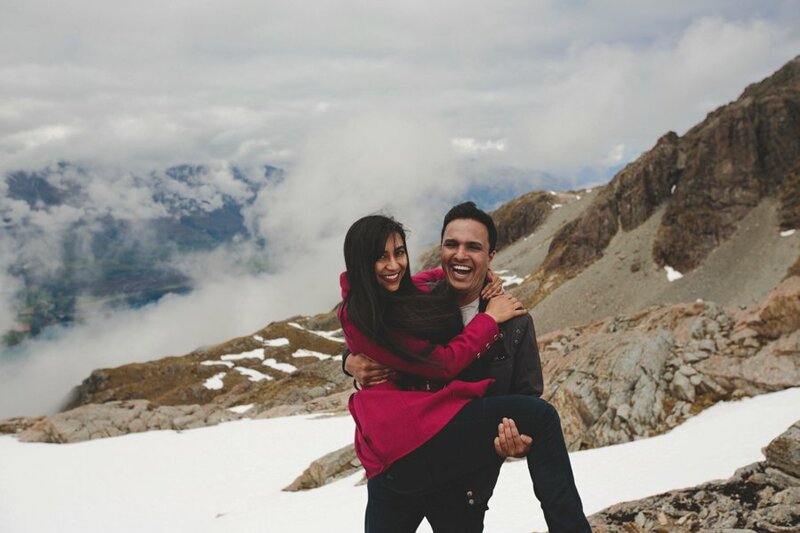 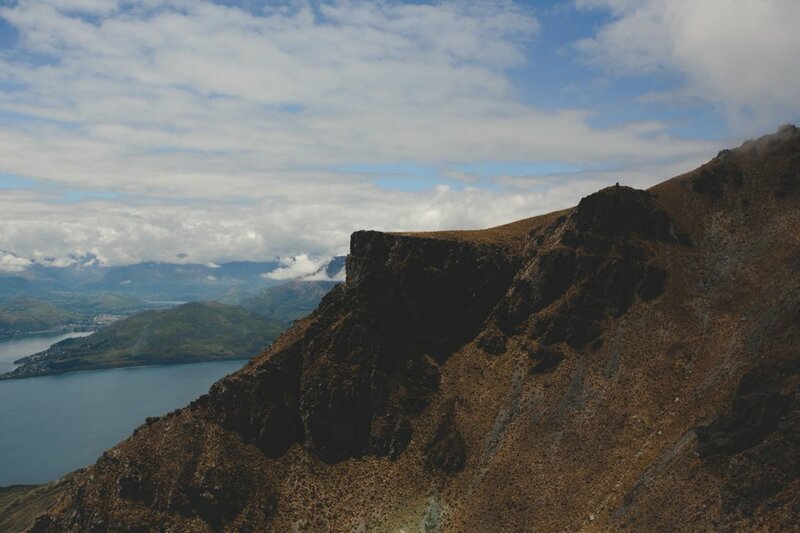 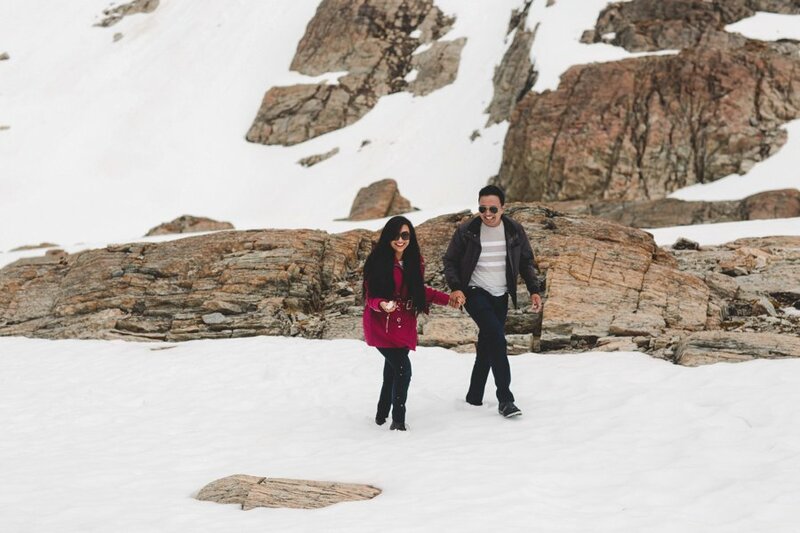 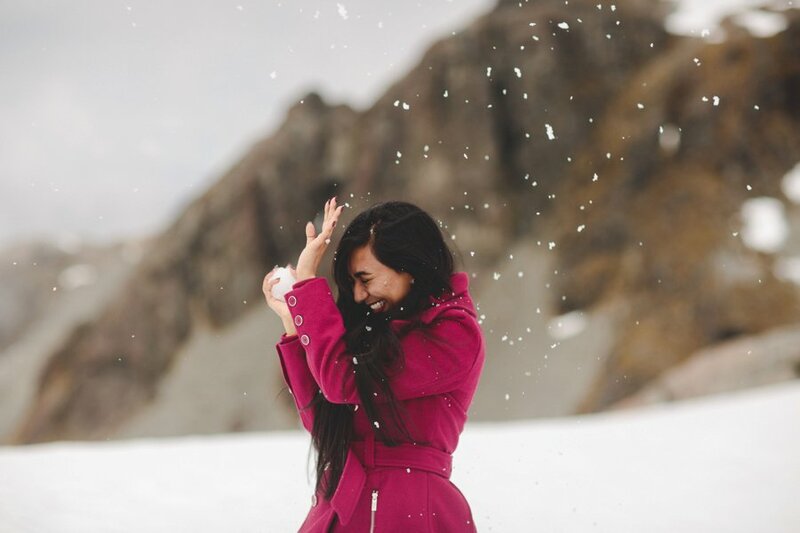 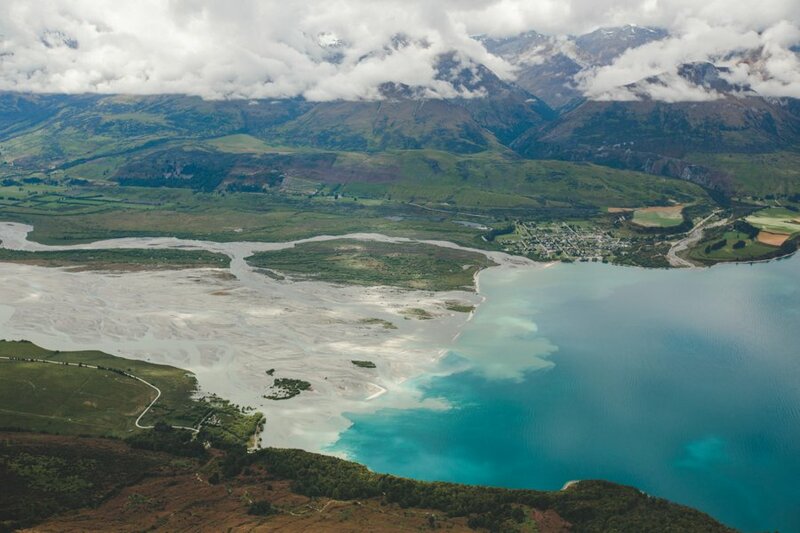 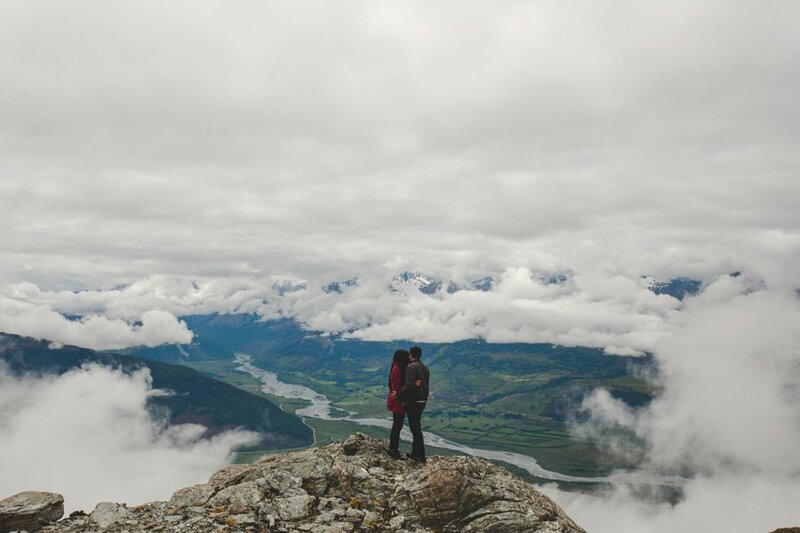 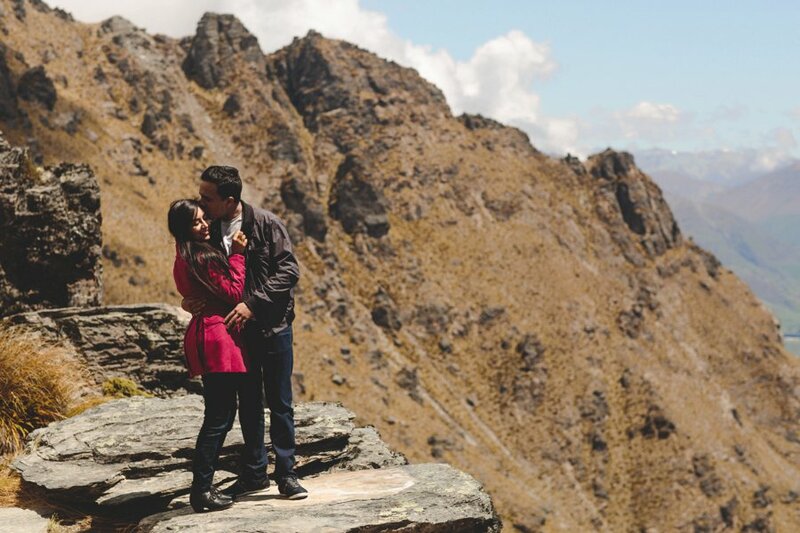 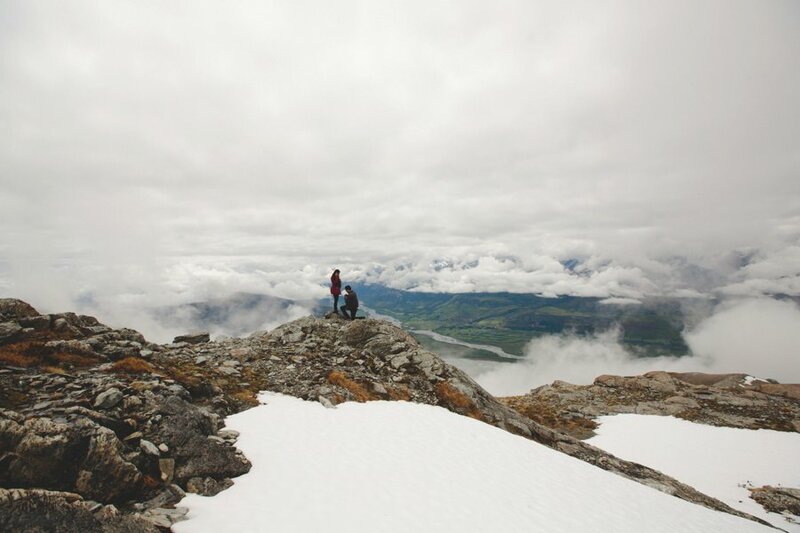 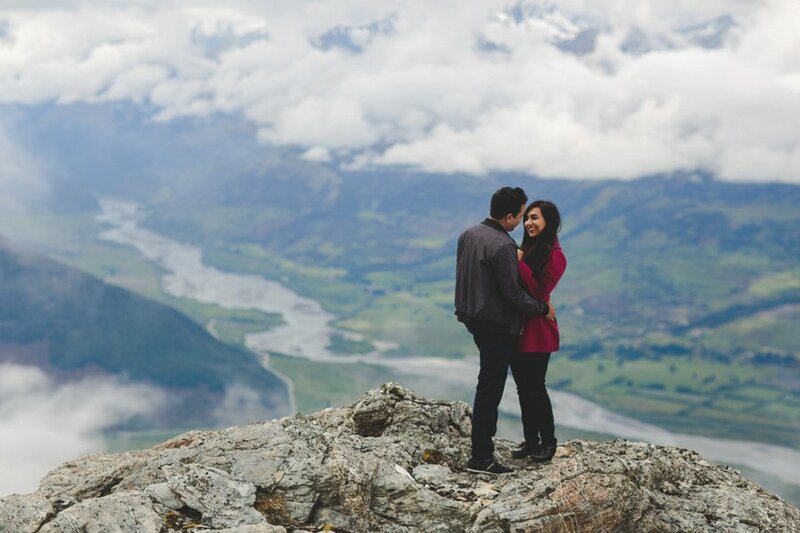 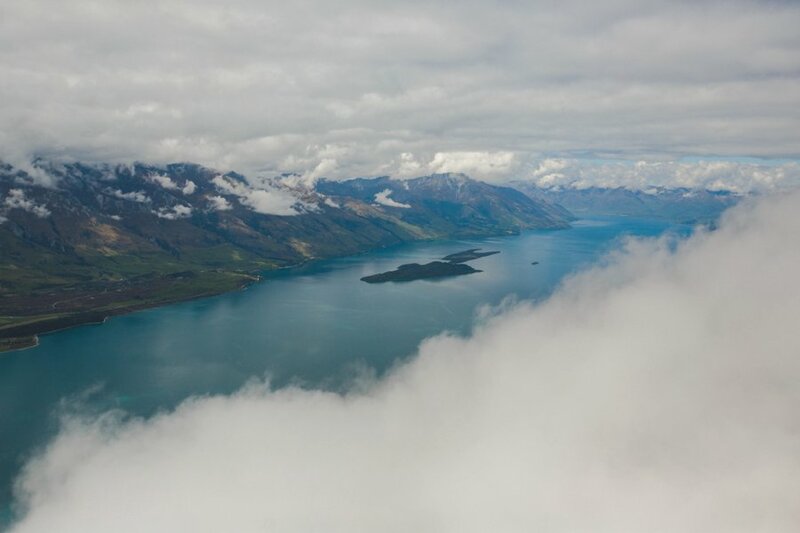 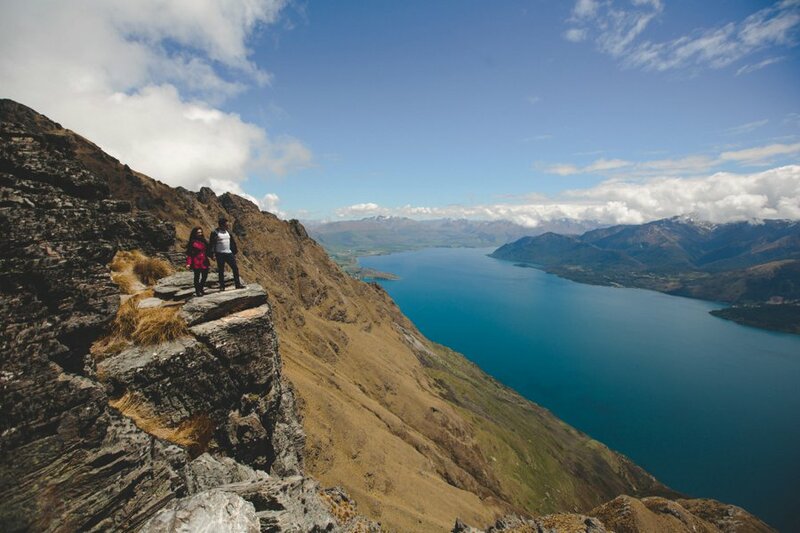 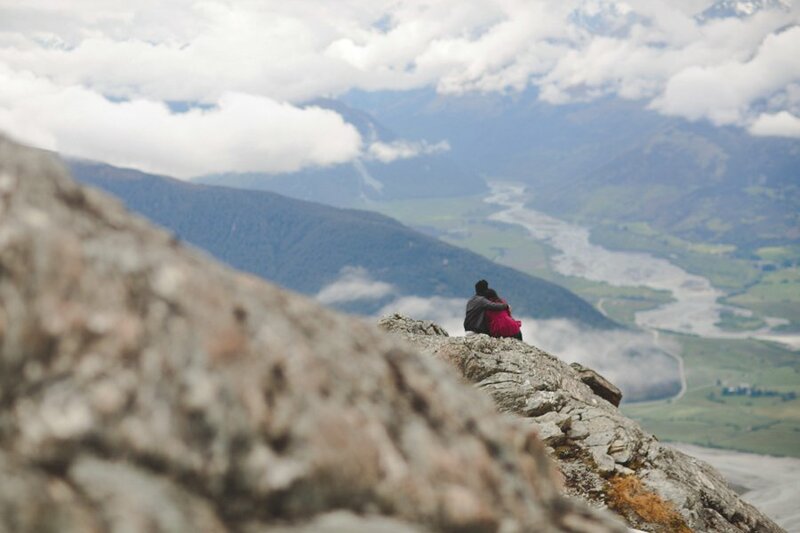 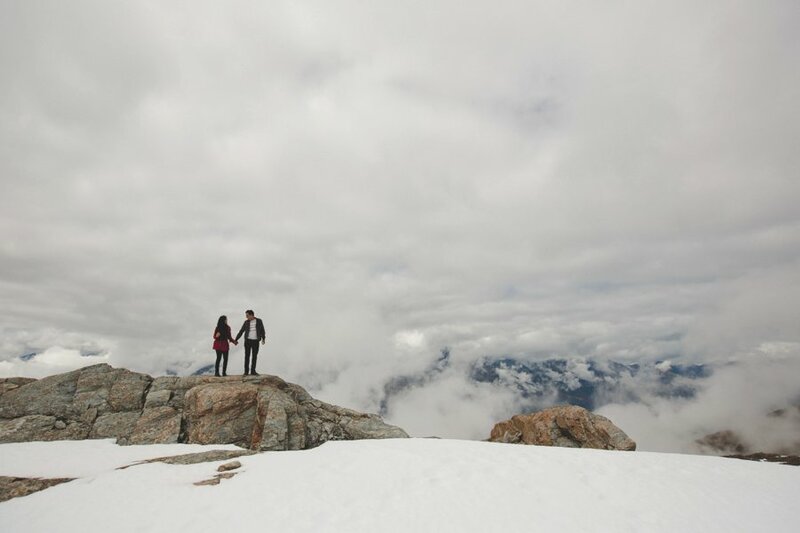 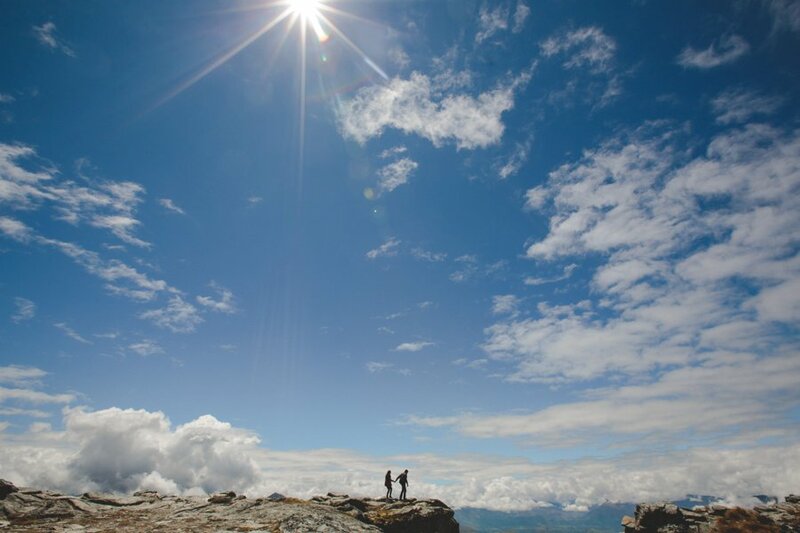 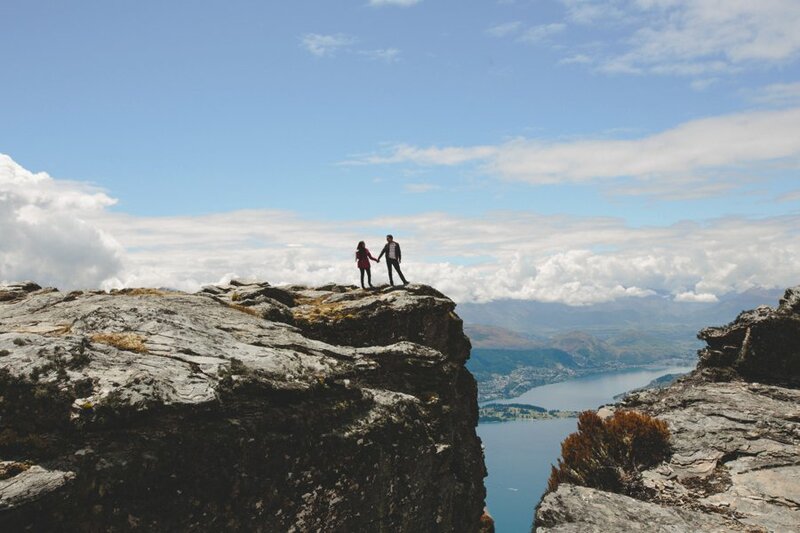 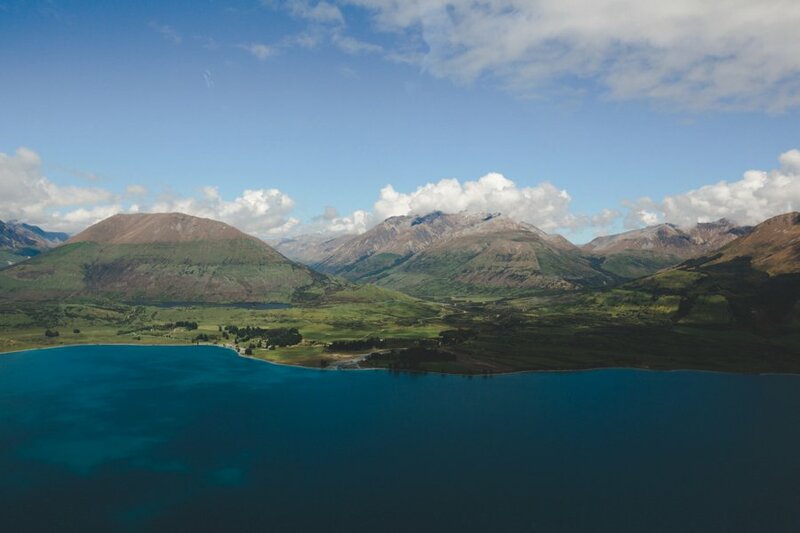 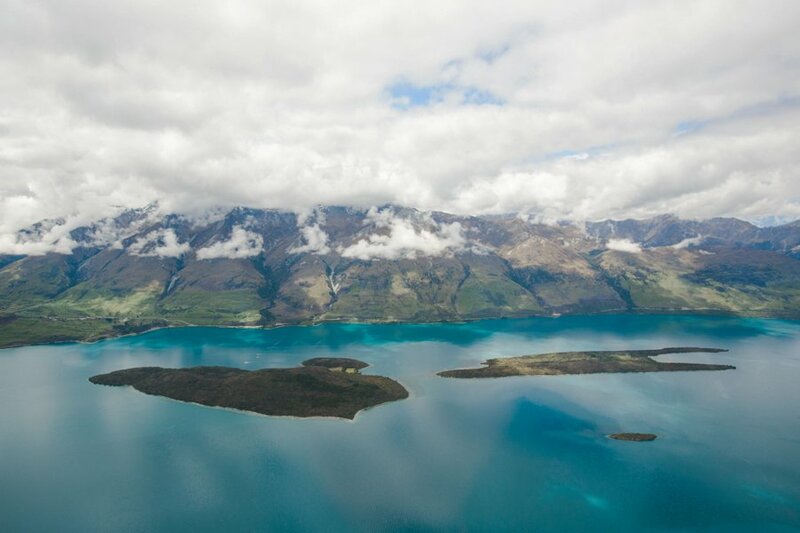 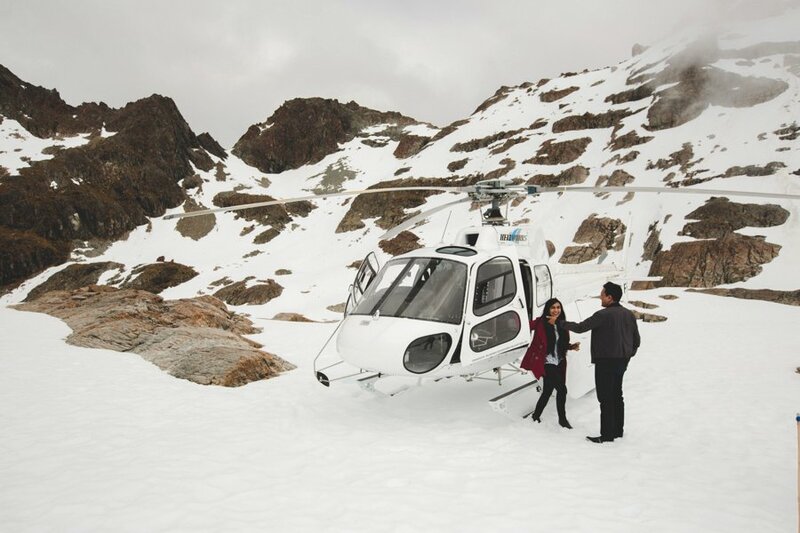 Shiv proposed to his girlfriend Sam, atop a gorgeous moody mountain top above Glenorchy. 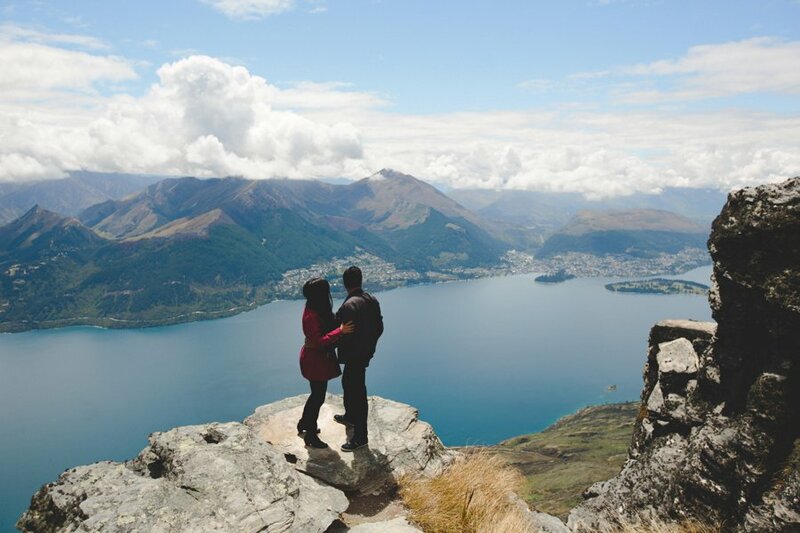 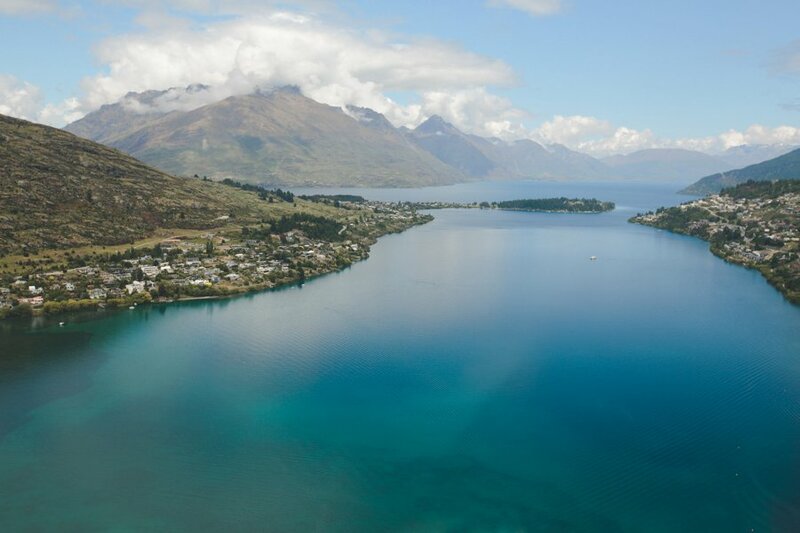 It was a complete surprise for her, as we left Queenstown airport for the “scenic” trip. 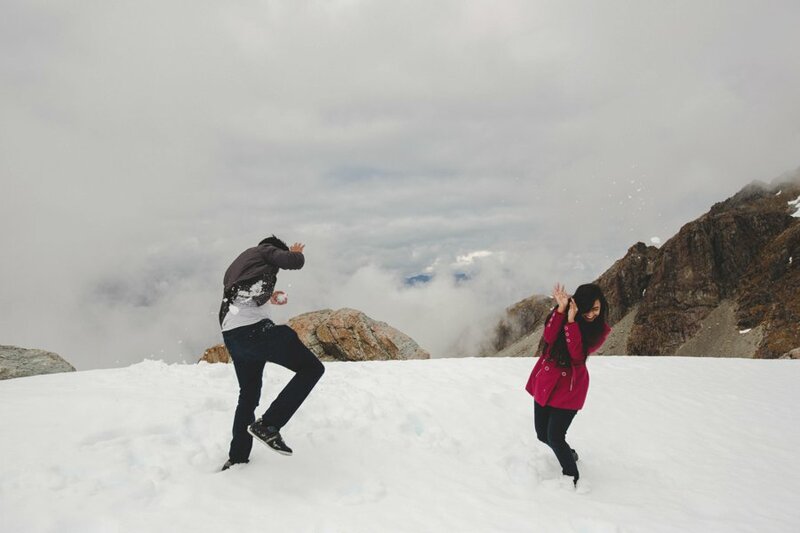 He popped the question with the Rees River as a backdrop and had a cool snow ball fight, before having another landing at The Ledge. 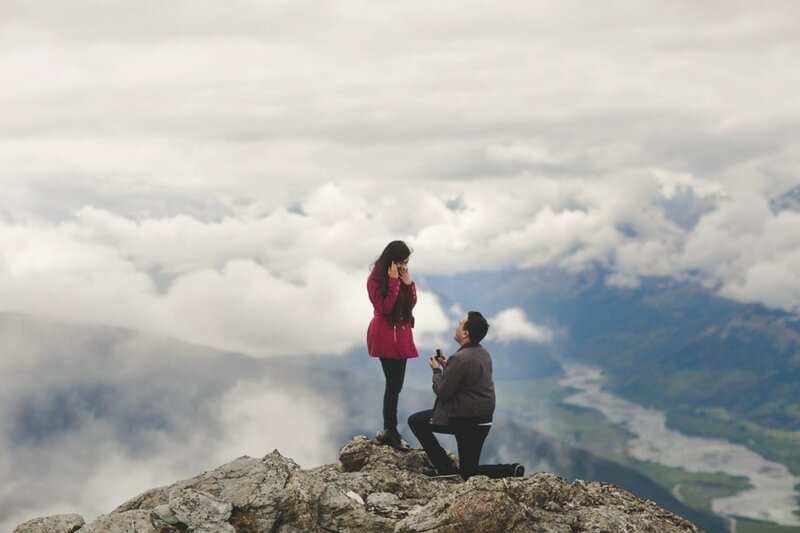 Big congrats you two! 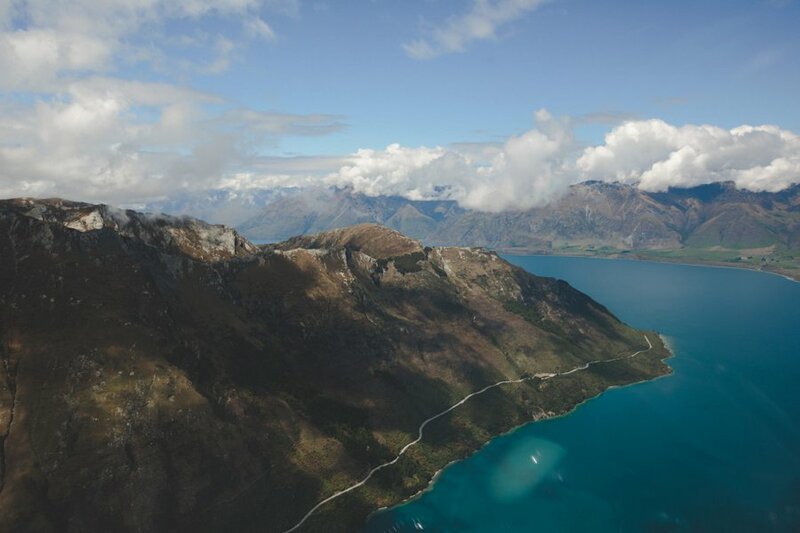 And thanks to Heli Tours for planning the trip and Scottie from Heliworks for flying us there.